The following is a sponsored blog post. More information may be found at the bottom of this post. Over the course of a year I can easily take thousands of pictures. No exaggeration. I have pictures saved in Dropbox, Google Photos, iPhoto, my Camera Roll, my friend's Dropbox, my sister's Camera Roll — ok maybe not the last two, but you get the point. I love love love photos. Because I adore them so much, I know the struggle of sharing them well. I mean, I think most of us are guilty of the "Can you send me all of those 7 million photos we took on your phone so I can choose my fav?" requests. No? Just me? Millennials, back me up here. 2. Receive them 251 days after the event even took place. Aside from having to download it, the app itself is game-changing, so it's 100% worth the space in your phone's storage. 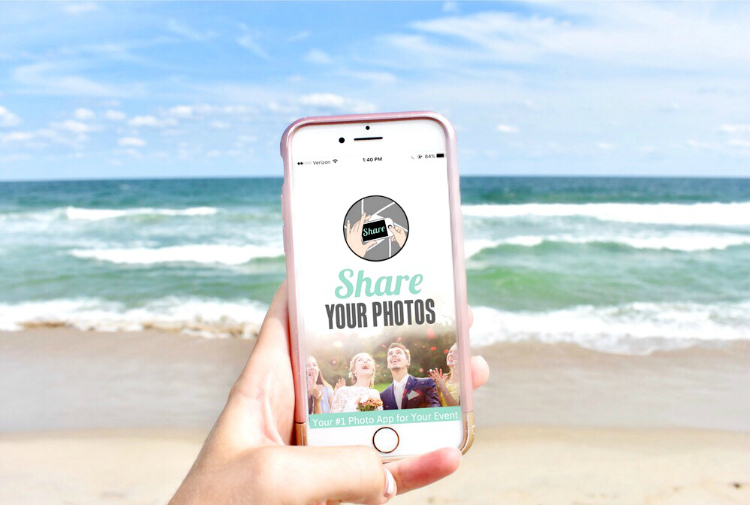 The Share-Your-Photos app allows you to create an "event" or album to which any attendees with the event name can contribute photos. You can then download the ones you want and leave the rest in the app! With everyone taking dozens of photos at each of these events, it was so much easier to have them download the app, share the photos to the respective event albums, and have all of the photos for everyone to view, save, and/or print in one place. It truly is a life (and time) saver! Download the app for FREE to give it a try! Available in the App Store and on Google Play. As previously stated, this is a sponsored blog post. While I have been compensated for my honest review, I only publish and/or endorse products and apps I truly believe in and love, which is why I am thrilled to be able to share the Share-Your-Photos app with you. For more information about Sponsors, please visit the Generation Tay's Disclaimer page. This is a brilliant app! So much easier than sending photos via text or email on at a time! I downloaded this app and I love how simple and easy it is to use. It is much more convenient to use this app when trying to share 40plus photos rather than asking for all those pictures via text message. Great app! Yay! I'm so glad you like it, D :) Thanks for reading! I've never heard of this app before and l will definitely check it out. It sounds like such a great time saver. I also take a lot of pictures and am always chasing my photos. Thanks for sharing. ALWAYS! I am constantly either asking people to send me photos or sending other people photos and it really is tedious! The app is fabulous. Such a lifesaver!! Hopefully you find it just as helpful! Thanks for reading, Kemkem! Like you, I wished I had known about this app, sooner. This seems like it would make it so much easier to organize and make photos available. I'm going to have to download this app! Oh cool, this app sounds fabulous. I take so many photos, so I need to get this! It really is so fantastic!! I had never heard of it before, but I am so glad I tried it out. It keeps me organized, saves me time, and connects me to all my friends and family! Would love to hear what you think of it if you try it out! Thanks so much for reading!! Oh wow! I had no idea such an app even existed! This is definitely a game-changer! Thanks for the eye-opening post. I'm rushing off to download the app. I'm so happy to hear it's useful for you, too!! Let me know how you like it when you download :) Thanks a million for checking it out, Joy! Yay! I really wanted similar to this for sharing photos, glad to know. Shall download it immediately! This is news to me. It reminds me of airdrop on the apple products. Oh that's right. I should download this. Btw since I commented on this post already, I'm going to comment on another post. You're welcome! Thank you times a million, Cecilia! You're fabulous! Let me know if you try out the app!! What a gorgeous idea to create event memeories together .Loved the idea.Will check it out. I hope you download it and love love love it! It's really really convenient! Thanks for reading, lovely! Boy what An easy way to keep all of your photos organized and shared with the right people! I'll look into downloading this app right away. Absolutely! That's one of the things I love about it! 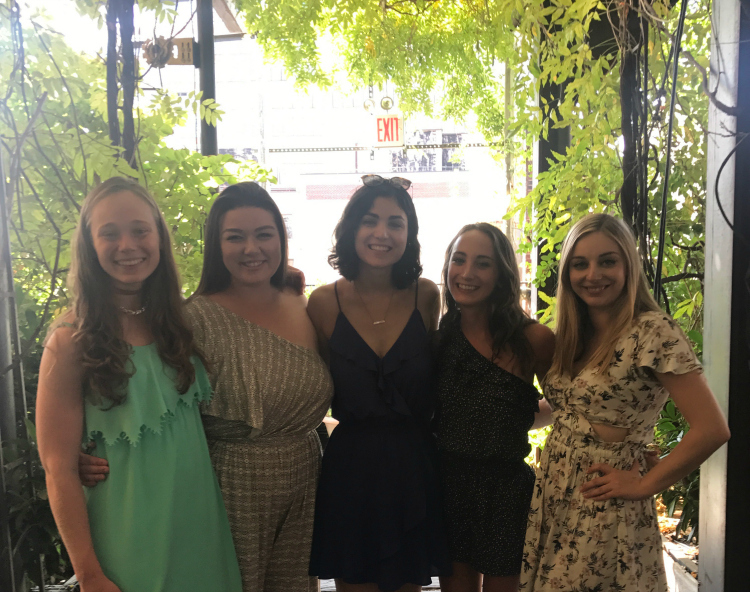 No more scrolling through photo after photo to find the pictures from the event I was at a few months back, now they're saved in an organized album. It's perfect!! I love to try new photo apps. Some of them are fabulous. Will give this one a try. I'm the same way!! I'm always testing new apps and this one is genuinely one of my favs. Makes keeping photos organized by event SO easy and I love that everyone at the event can contribute to the albums. Perfect for big gathers like weddings, graduations, reunions, etc! I am exactly like you and love clicking pictures and selfies. I have to try this app to see its features. Thanks for sharing. Yay!! I knew I couldn't be the only one! Hahaha! But you should absolutely check out the app! It's perfect for sharing with friends and family AND it's fabulous for anyone who likes to keep things organized in folders/albums (aka me!!!) Thanks for reading, Deepa! I love a great photo app. This is awesome because I am always sharing photos so I need to check this out. Thanks for being transparent about this photo app, and it really does look like a great app to add to my collection that's already on my phone. Of course! I'm happy to introduce people to knew apps that I have found personally helpful! If you don't mind me asking, do you have any other photo apps on your phone? Thanks for reading, Dan! It really is genius! That's the perfect word to describe it. It's going to keep me so much more organized and it's so EASY to use. I can do it all right on my phone and it takes almost no time. I hope you check it out :) Thanks for reading, Cameron! I have seen a few ads for this app. It looks cool. I live in Spain and everyone there uses Whatsapp. People love to pass photos in group chats after events an such. I wonder if it would get used as much there. What a jampacked last few weeks you had! Making that app a very much needed tool indeed! Super helpful as I hate bugging my friends to send me over the photos they took with their phone which will never get to see the light of day. This app sounds great! I am always looking for a way to share pictures. This looks super fun and useful!! This could be the perfect app for covering different events . . . thanks so much for sharing! It would totally be useful for event coverage! What kind of events do you go to? This is such a cool and handy app! It sounds easier to use than shared photos in iCloud Photo Sharing. It really was such a breath of fresh air to see how easy the app is! I've never used another app quite like it. I hope you get to give it a try :) Thanks for reading! I need this app! I'm always having to delete pictures! I always have to delete photos to save room on my phone! Or I have to upload them to other photo saving apps. But this one is perfect because it's so convenient and allows you to share the fun with everyone! Thanks for reading, Allison! I haven't tried that one! Sounds so handy though! I highly recommend (if you couldn't tell haha)! You should totally give it a try! I haven't tried this app out yet! It sounds so helpful for getting some old photos off your phone and distributed to the right people in a hurry! Definitely going to look this one up. Absolutely! I think I always underestimate just how tedious it is to send 10+ photos to everyone who wants the photos I take until I actually tested out this app. I was able to upload them so quickly and then just have my friends download the app and check out the album! A LIFESAVER! This sounds like a really helpful app! I'm always afraid of losing my photos! Oh gosh, me too! I always have my photos backed up somewhere. I'm a little paranoid of losing them, too! But this app will definitely save them for you! Plus, allows you to save some from your friends' and family members' as well! Its sounds efficient and easy to use. Thank you for sharing. It is absolutely both of those things! SO easy to figure out! I think the best part about it is how much time it saved me! + How organized it keeps me. Thanks for reading! It's so cool that they have an app to be able to share pictures. I am with you that so many people forget to share and you don't get the pictures ever. It's too sad. It makes photo sharing so much easier to just be able to upload the photos to an app and then anyone who wants them can access that album and download the ones they want! Surely genius :) Thanks for reading, David! Sounds great! I might just try this out for our party this weekend! Thank you! 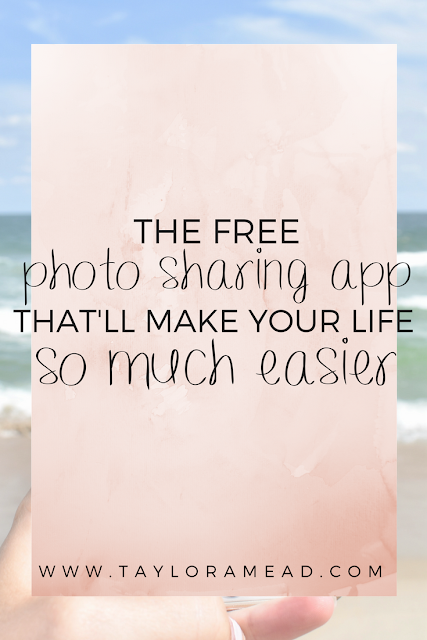 This photo app sounds so useful, so much easier than sending photos via text! SOO much easier! Hope you try it out :) Thanks for reading, lovely! I'm so happy to hear you've heard of it before! It really is a great concept! Makes my picture-loving life a lot easier hahaha! What a genius idea. I have a gazillion photos on my phone and each time I text some to friends my phone just gives up. This app is ideal and as soon as I free up some space on my overly full phone I am downloading it. Love discovering useful apps like this. YES!! This is exactly it! I always get that red "did not send" exclamation point next to photos when I'm trying to send too many and it's just USELESS! And wifi/data NEVER works properly to send them all via text. Plus, I totally feel you on the overly full phone hahaha I am constantly searching for space. But when you get space and need the app, it's definitely worth it! Thanks for reading, Kimberly! I've been hearing so much about this app lately and it's such a great idea! Where was this a couple of months ago when I needed it? haha. Thanks for the post! That's fantastic!! I love that it's being promoted because it really is something everyone should know about. I have the same question!! Hahaha where has this been all my life?! BRILLIANT!! I am really excited to check out this app! 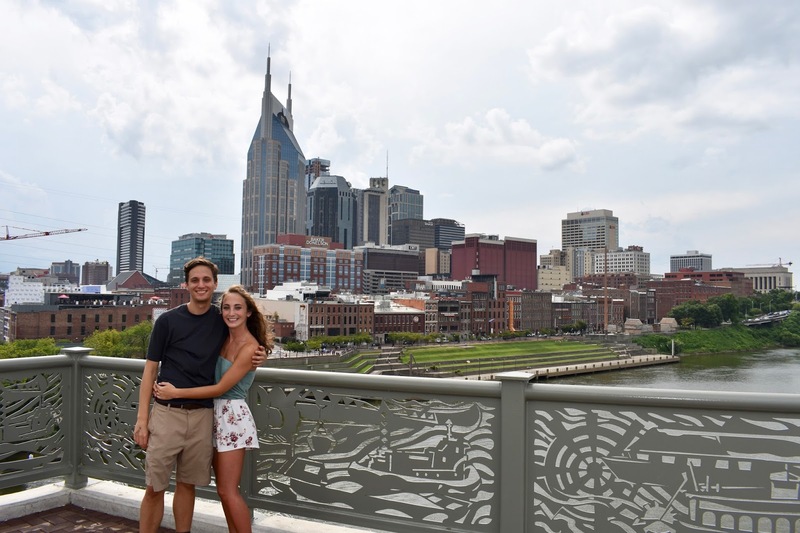 I take tons of photos and between me and my family we'd need a ton of space to share them! It's the PERFECT app for family photo sharing! It will make sharing amongst the whole fam a million times easier! 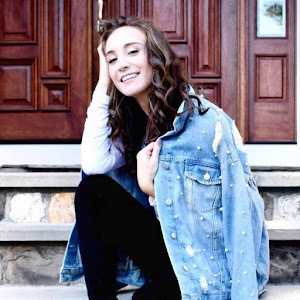 Try it out and let me know what you think :) Thanks so much for reading!! I have a million and one pictures in my phone + ipod to share. I should get downloading this app right away. I am the SAME way! Everywhere I look there are more photos I want to send to family and friends, so this app makes it so much easier to do so! Oh this is so cool! I had never heard of this! Yay! I'm always so excited to introduce people to new things, ESPECIALLY when they're as helpful as this app! I hope you find it just as useful! I NEED this app in my life! I'm constantly taking photos and just like you, all my devices are full. I try to avoid deleting my photos because - memories :)) Wish I knew about this app sooner, downloading it right now :) Thanks for sharing! I hope you love it!! I am SOO on the same page when it comes to taking pictures for memories! It's really a fabulous app! SO need this app, looks like the perfect way to share pics! 100%! It makes sharing with groups of friends and family SO much easier. I'll be using it around the holidays for sure when everyone in my family wants me to send them the photos! Plus, then anyone else who took pics can add to the app as well! This app sounds like an app I need! Would love to hear if you try it out! It really is a game-changing app! Thanks for reading, Dara! This would save me so much time when I am invited to blog conferences or on press trips! Love the concept and that is an app! YES! It's so so helpful for special events like that! You don't have to individually ask people to send you photos nor do you have to send others them. Just log into the app, upload them there, and anyone with the event code can access them! It's soo convenient! I hope it works for you! Of course, Gerome! Thank YOU for reading! I hope you try it out! It's a great app to have, especially when you travel and want to share photos of your trip with others! Going to download this app - such an easier way to transfer and share photos! Yay! I hope you love it! 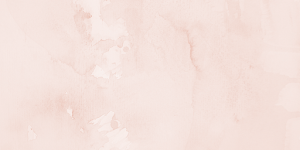 Let me know what you think :) Thanks for reading, lovely! Ooooo what a neat app! I'm a total picture hoarder,so I will have to look into this app! Yes! It really is a lifesaving app! Let me know if you try it out :) Thanks for reading, CourtneyLynne! Brilliant! 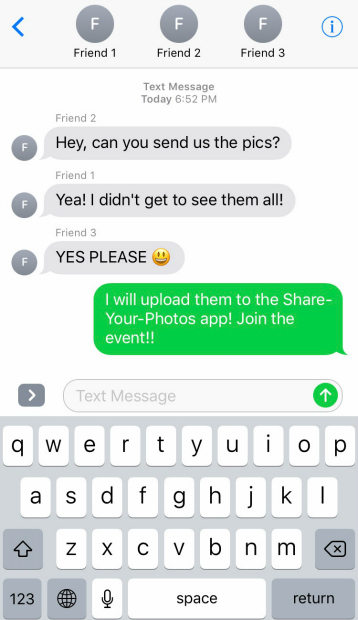 Such a smart idea so that I can stop sending dozens of photos to friends after each get together!